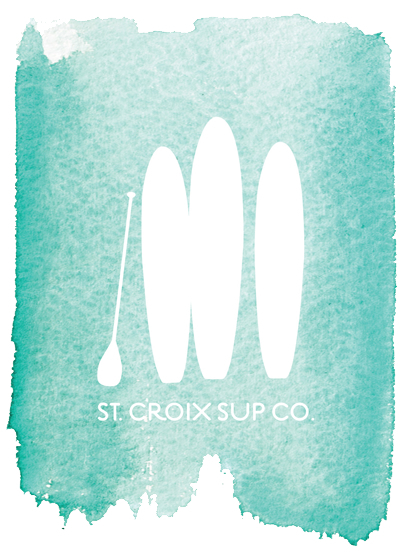 History of Stand Up Paddleboarding | St. Croix SUP Co. Stand up paddling began in the 1960s when surfing instructors used the technique to position themselves for taking photographs. More recently, professional surfers used the technique for training and it has become a popular surfing-related pastime. Supporters cite the ease of learning as a key to its popularity, with beginners becoming comfortable in as little as an hour of training. Laird Hamilton and Dave Kalama re-introduced the ancient sport of paddle surfing to the modern water sports world. The first “modern” surfer to bring Stand Up Paddle Surfing out of Hawaii and to the mainland United States was Vietnam veteran Rick Thomas. Custom surf shaper Jimmy Lewis, created one of the first modern production boards, the All Around. Surfers have converted because of the versatility of the new sport with varying riding styles on many varieties of water. River SUP’ing is gaining popularity in the boating community due to the skill and agility required to navigate rapids and obstacles. Stand up paddle surfing is now the fastest growing water surf activity because it allows a wider range of athletic types to get involved and SUP. Kai Lenny claimed the first SUP racing world champion title when he won the seasons finals of the first Standup World Series championship races held at Turtle Bay Resort, O’Ahu, Hawaii on 13–14 September 2012. August 8, 2007 on the North Shore of Lake Tahoe in Tahoe City, CA was the site of the very first stand up paddle board race. A seven mile race from Jake’s on the lake restaurant to Tahoe Vista, CA ending at Captain Jon’s restaurant. 34 competitors men & women from Lake Tahoe, Santa Cruz and San Diego completed the 1st ever SUP only event. This was the beginning of the TA-HOE NALU paddle festival. 2012 marked the 6th year of what is now the oldest SUP event in the world drawing over 4000 spectators and over 400 competitors from around the world to compete at the Quiksilver TA-HOE NALU Paddle festival.